The current screening test used in Scotland will be replaced with a new test, the faecal immunochemical test (FIT) from today. Screening aims to detect bowel cancer at an early stage, when treatment has the best chance of working. The test can also find polyps (non-cancerous growths) which might develop into cancer. Screening is for people with no symptoms and looks for hidden blood in poo that can’t normally be seen. 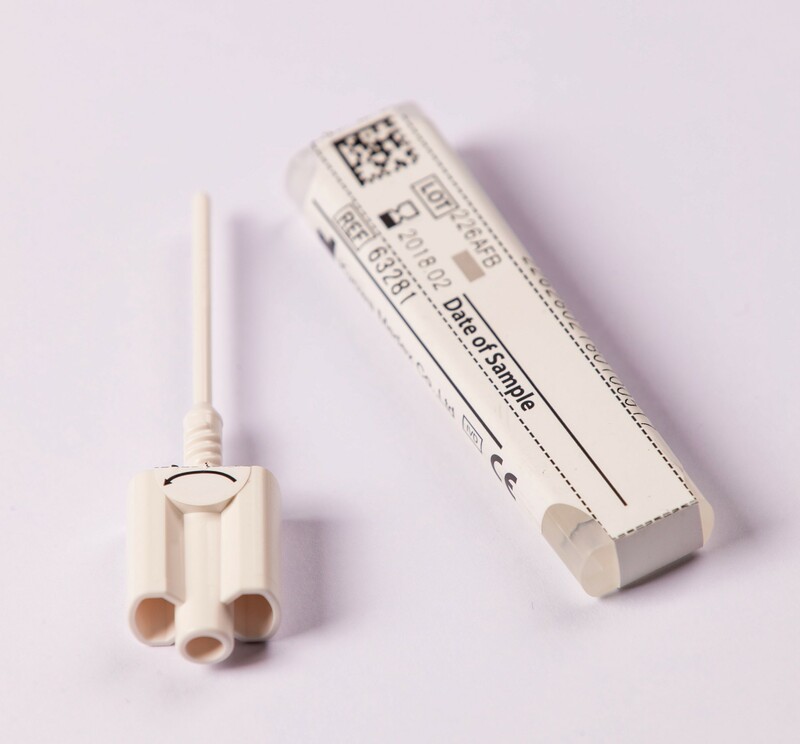 As part of the Scottish bowel screening programme, people aged 50-74 are sent a FIT screening test in the post every two years. Screening remains one of the most effective ways of detecting bowel cancer in its earliest stages. Pilot studies have shown that FIT increases uptake. This is likely to be because it is quicker and easier to complete – only one small sample of poo is required. FIT is also more accurate than the current test so we would expect more cancers to be detected. England will be rolling out FIT into their screening programme in 2018 and Wales in 2019. Northern Ireland is still yet to approve the new test. No matter which bowel cancer screening test you receive in the post, completing it and returning it could save your life. Claire Donaghy, Head of Scotland at Bowel Cancer UK, says: “This is an important and crucial step forward in saving more lives from bowel cancer. We have long called for the introduction of FIT and have played an active role over many years campaigning for change. “Screening remains one of the most effective ways of detecting bowel cancer in its earliest stages." 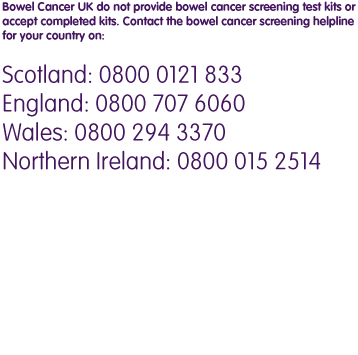 If you’re registered with a GP and aged 50-74 in Scotland (60-74 in the rest of the UK), you will receive a free NHS bowel cancer screening test in the post every two years. The test looks out for hidden blood in your poo, which could be an early sign of cancer.